iFixit is known for their free repair guides and tear-down videos, but they also make some of the best tools for repairing any gadget - from phones, game consoles, computers, and more. 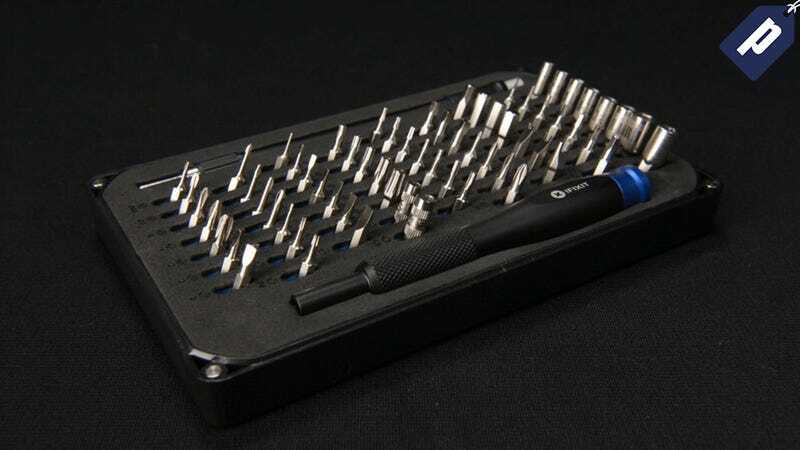 Their 64-bit screwdriver kit gets you the right specialized bit for any gadget repair, and Jalopnik readers can get it today for 30% off + free shipping - just $34.95. Most of our favorite gadgets today - smartphones, tablets, wearables, etc. - require specialized bits to repair. iFixit has collected data from thousands of repair guides to curate this 64-bit screwdriver kit, with specialized bits for fixing any of your gadgets and an ergonomic aluminum handle. If you’re looking to save yourself some cash and take gadget repairs into your own hands, you won’t find a better deal than the iFixit 64-bit screwdriver kit. Get it today for $34.95, which includes free 1-2 week shipping and a lifetime manufacturers warranty.